Material: Fluorescent Pink - Laser ONLY! 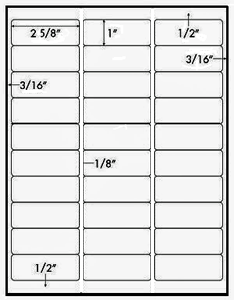 This label 1" x 2.625", 30 per sheet, and is the same size and layout as Avery 5172. 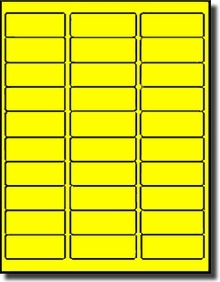 At LabelOutfitters.com you can get 20 sheets for $11.97 LESS than 25 Sheets of Avery 5972 Fluorescent Labels. These labels are amazing and Labeloutfitters is a great company to do business with as they are very reliable and they always make sure that their products are delivered quickly and on a timely manner. Thank you Labeloutfitters! !